← Why Can’t the Doc Fix My Kid’s Cold? I recently heard some very strange theories about gluten. Reminiscent of the telephone game we played as children, whispering into each other’s ears down a line, what people hear at the end is very different from the reality spoken at the beginning. Let’s clear up some confusion. 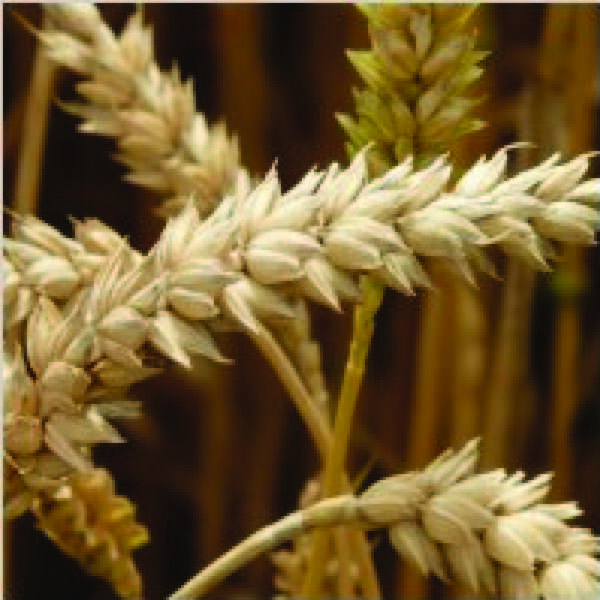 Our ancestors survived in no small part due to the development of cultivated grasses: the seeds of grasses are high in carbohydrates for energy, protein for strong muscles, and fiber for bowel function. They contain iron, B vitamins, zinc, and magnesium. They could be dried and stored, so groups of people could stay in one place and survive the winter. Worldwide throughout history, every culture has developed some sort of grain based food as a staple, from bread to flatbread, corn tortillas to rice. Gluten is the protein found in wheat, spelt, barley, and rye grains. It gives elasticity to bread dough so that it can rise and maintain its shape and chewiness. Gluten is pervasive in our foods: it is in breads, pastas and cereals, is added into low protein foods to improve their nutritional value, and is present in everything from ketchup to soy sauce to beer. It is even in our cosmetics, hair and skin products. Our bodies use the amino acids that make up gluten to build our muscles and everything from our fingernails to the cartilage in our noses; to make our immune system work so it can fight off disease; to communicate within our bodies; to carry oxygen through our bloodstreams; even to make sperm able to swim so the next generation can be born. We cannot make all of these amino acids ourselves, so we have to ingest them. Whole grains are an excellent source. Since whole grains contain so many nutrients and have such fantastic health benefits, and since avoiding gluten is both inconvenient and expensive, let’s make sure living gluten free makes sense, before we commit. It is more common in people with Type 1 Diabetes, Down’s syndrome, autoimmune disease, and thyroiditis. The symptoms can be more severe when there is concurrent illness, like rotavirus or a toxin ingestion. In the people who have Celiac, gluten triggers an inflammatory reaction which causes the little absorptive pillars in the small intestine to die off, and causes crypt hyperplasia in the walls of the gut. This affects the person’s ability to absorb nutrients, resulting in the weight loss, diarrhea, and the other symptoms listed above. It also causes the production of antigliadin antibody (AGA), tissue transglutaminase (tTG), and antiendomysium antibody (EMA), which can be tested for and are used to screen for Celiac disease. Convenient, yes? If you think your children might have Celiac disease, get them tested. If the test is positive, he or she will need to see a specialist and have a biopsy done to confirm the diagnosis. Children who test positive for Celiac disease need to consult with a nutritionist, both to learn which foods and products contain gluten, and to learn how to maintain a healthful diet without the many things that include gluten. Short term, deficiencies of trace elements, vitamins and minerals are common with a gluten free diet (zinc, magnesium, iron and B vitamins especially); long term risks include cancers of the gut and recurrent bone fractures. Deficiencies can lead to anemia, poor immune function, poor growth, skin lesions, messed up heart and brain function, and a host of other unpleasant symptoms. Living gluten free is not something you would want to attempt without knowledge and expert guidance. A gluten free diet is a medical necessity for people with Celiac disease. It is not a healthful way to lose weight. It is also not a good way to nourish your child. Sustenance should not be a fashion trend. Children use food to lengthen their bones, grow their muscles, build their brains, and give them energy to run, climb, and think. We need to avoid feeding our children things like concentrated sweets, sodas, and greasy fast food; we do not need to avoid whole grain breads and cereals. Whole grain and protein are not in any way toxic, even though a very few people are allergic and have to avoid them. Pretending to have an allergy to be “hip” is just silly, and disrespectful of the people who actually have Celiac disease. If your children do not have Celiac, stick to a nutritious diet including whole and enriched grains. Feeding your children a gluten free diet when they don’t have Celiac disease is not only inconvenient and expensive, it also carries with it serious risk to your children’s health. To grow, two-year-olds should have about three ounces of grain per day; by four, they should get five ounces; between nine and eighteen, they need to take in between five and eight ounces. At least half of this should be whole grain; the rest should be enriched (iron, vitamins and minerals added back in). Don’t let fads decide for you what to feed your child; rely on common sense and nutritional science. Focus on fresh fruits and vegetables, then add whole and enriched grains and a little protein. Sit down and eat together as a family, and watch your munchkins grow and thrive. The good thing is that the weird fad has made many more options available for the people who do need to eat gluten free, but many people have no idea what they are actually doing to their bodies. Eat a variety of whole fresh foods, avoid junk with ingredients you can’t pronounce, and drink water. ‘nuf said.